Vancouver, B.C.-based Adion Systems has established ProShop USA, Inc. in Bellingham, Washington as a U.S. subsidiary to facilitate sales and support of its ProShop manufacturing enterprise software to its growing U.S. customer base. 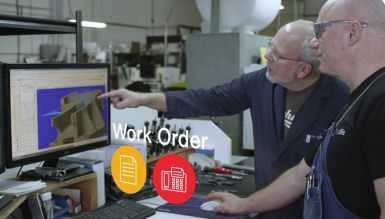 ProShop software is a comprehensive web-based, paperless shop management system engineered to benefit small- to medium-sized manufacturing companies. ProShop software provides an integrated, comprehensive set of modules for managing a shop's ERP (enterprise resource planning) operations as well as MES (manufacturing execution system) and QMS (quality management system) functions. 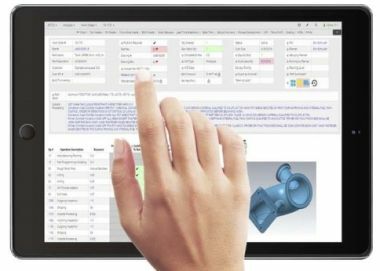 Paul Van Metre, Adion Systems co-founder and vice president of sales, and President of ProShop USA, said, "ProShop software represents a Digital Manufacturing Ecosystem or ERP 4.0. It enables smaller shops to easily manage their business with a big data, manufacturing-analytics approach, including shop floor monitoring of part quality inspection, work instructions and tool management." According to Van Metre, most conventional ERP systems are accounting-based with minimal functionality for managing and controlling the shop floor environment. On the other hand, systems focused on manufacturing monitoring do not provide the full scope of information needed to guide optimal business strategies. Accordingly, in addition to typical ERP segments dealing with estimating, quoting and purchasing, ProShop includes MES and QMS control, monitoring and collection capabilities. The MES function tracks machine usage, cutting tool management, work instructions, part inspection data and more. QMS functions include all the modules needed to manage a company's ISO 9000, AS9100, API and ISO 13485 certifications, covering all the tasks required to comply with a worksite's different quality systems. Data regarding standards, procedures, equipment, users, training, audit reports, non-conformance reports, corrective actions and more are included. ProShop may be hosted in the cloud or on site, depending on the user's preference. "ProShop software can often replace five to six separate software packages that may not communicate well with each other," Van Metre said, adding that use of ProShop can positively impact profitability and throughput. Examples include moving overhead labor to billable functions, opening capabilities for more complicated jobs, improving on-time delivery performance and accurately estimating profit margins on each project. Implementation of ProShop enables more informed and conscious choices surrounding all business decisions.